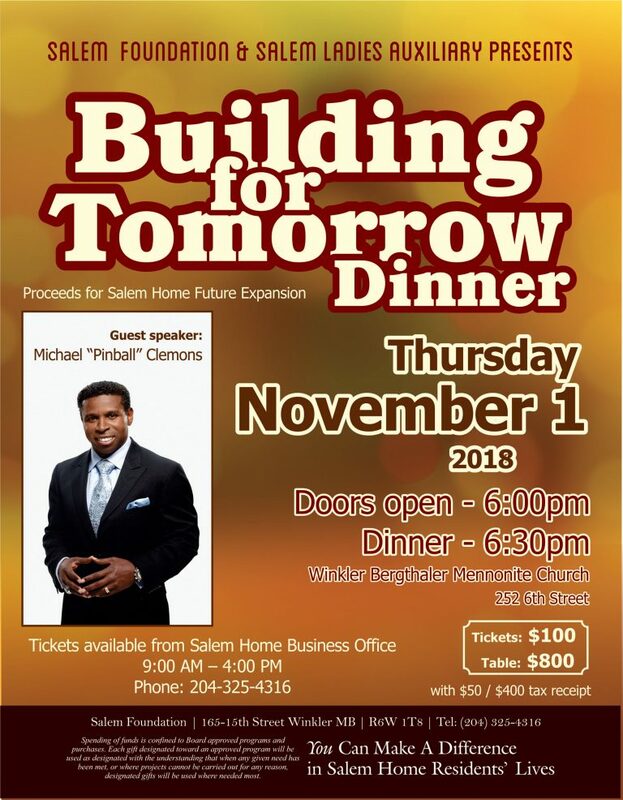 Tickets are still available for the “Building for Tomorrow” fundraising dinner. All proceeds will be going towards the future expansion of Salem Home. Don’t miss your chance to come and hear Michael “Pinball” Clemons. Michael is a former all-star running back, Grey Cup Winning coach, and President and CEO of the Toronto Argonauts. Michael shares how his upbringing has shaped him. He shares how his steadfast faith has always guiding him and how his commitment to his team and community is much more than just a professional veneer – but a deeply held feeling of true spirit and belonging. To listen to Michael “Pinball” Clemons speak, click the link below.